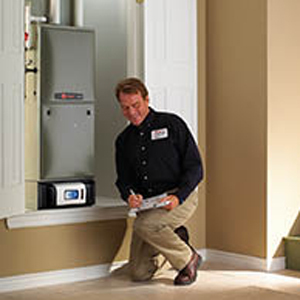 B & B HEATING & COOLING CONTRACTORS, INC. Reliable Comfort Your Family Can Trust! Making your winters warmer, summers cooler, and your home more pleasant and energy-efficient all year – that’s what B&B Heating and Cooling Contractors, Inc. does best. 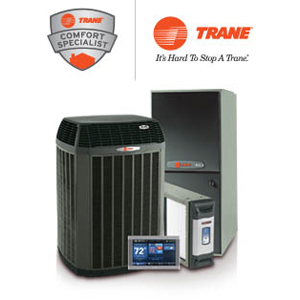 We’re a family-owned business that sticks with the basics, providing friendly, reliable service and quality Trane and Honeywell products to both homeowners and businesses. Rather than offer a one-size-fits-all approach, we customize our services to create improvements that suit your budget. Why settle for less and pay more? To keep your comfort up and your costs down, call Southern Maryland’s number one source of indoor comfort – B&B Heating and Cooling Contractors, Inc! Request A FREE Estimate Or Service Appointment! We have many testimonials demonstrating our quality service in Southern MD. Click here to review. Heating & air conditioning, Residential & commercial svc., Indoor air quality, filtration and humidification, Complete duct systems & repairs, Annual maint. agreements, Free estimates, Emergency svc. Click here for special offers & coupons! We believe that outstanding service & great products go hand in hand - you need both to get the job done. 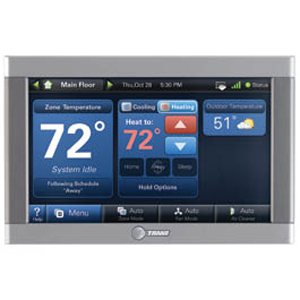 We proudly install Trane Heating and Cooling Systems.